I had to get back to G&G after my first visit during their 70th anniversary meal a few months back for $15 and six courses. 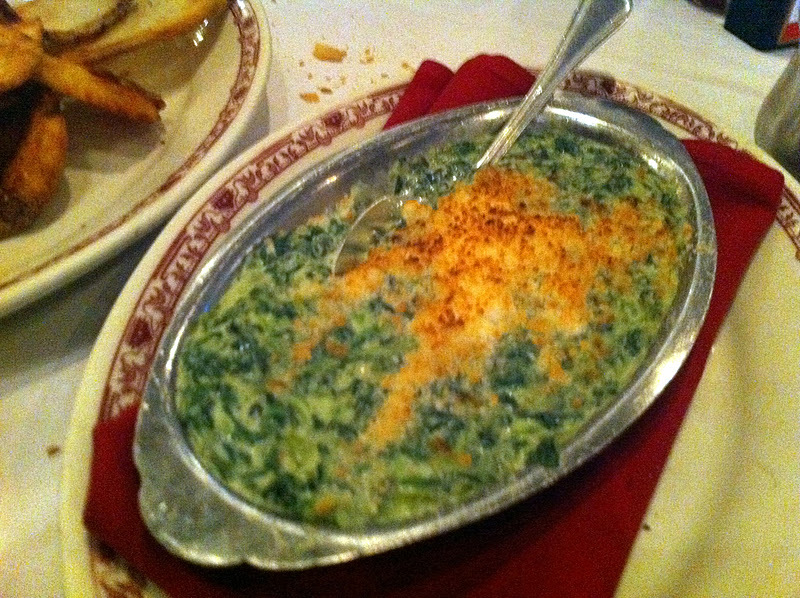 This time Erica and I went for a real steak dinner - sharing a filet and some creamed spinach and pasta. 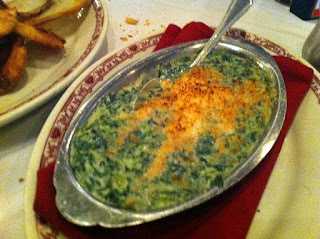 For those unaware, G&G must be one of the oldest steak houses in Chicago with great celebrity photos and old murals on the wall. The layout is goofy - with a tiny first floor, large bar and more seating up the narrow carpeted stairs. But the services remains old school classic and extremely attentive with multiple people taking care of your table and doing so in a choreographed manner. The food is somewhat middle of the road though, and the prices are more high road. We only needed one filet to satisfy our needs but supplemented our meal with some pasta and meatballs, spinach and the included salads and cottage fries. 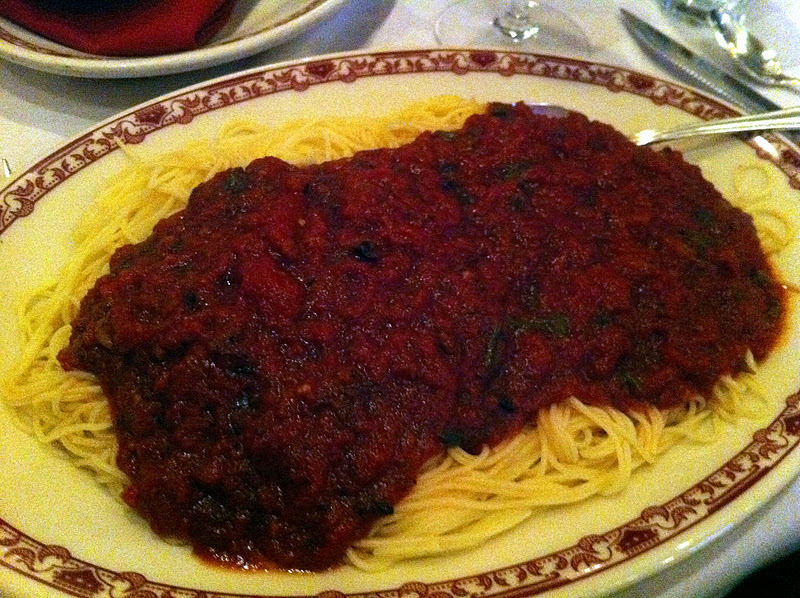 It was more than enough food for the two of us, particularly the huge dish of angle hair and meatballs. 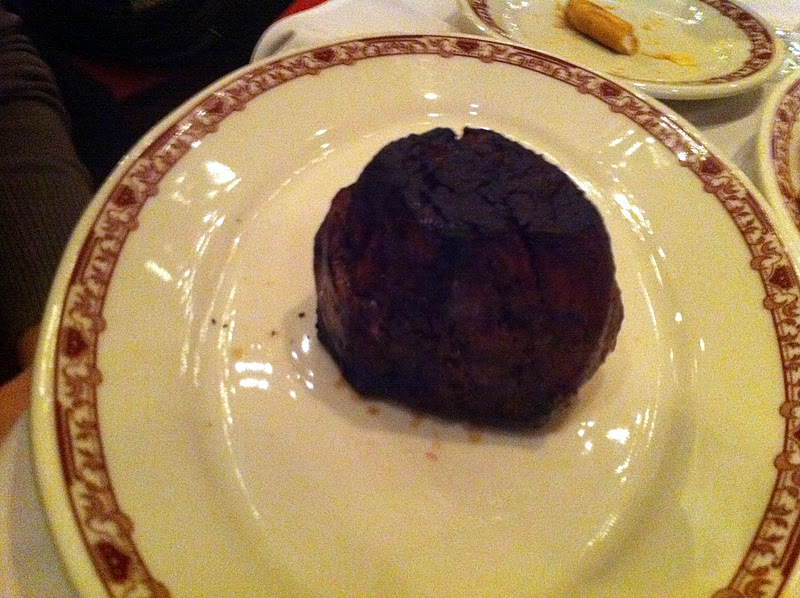 Erica did most of the damage on the filet but the few bites I had did not inspire me to ask for more. Maybe it's a sign of the times (and G&G lives in the old world) but I thought a steak was supposed to be good enough to not need sauce. Without asking our server presented both ketchup (I hope for the potatoes) and A1 steak sauce. However, I appreciated him doing so because the steak needed some A1 to register great flavors. I've probably had better steaks at my apartment (or my parents house), the overall food is decent. 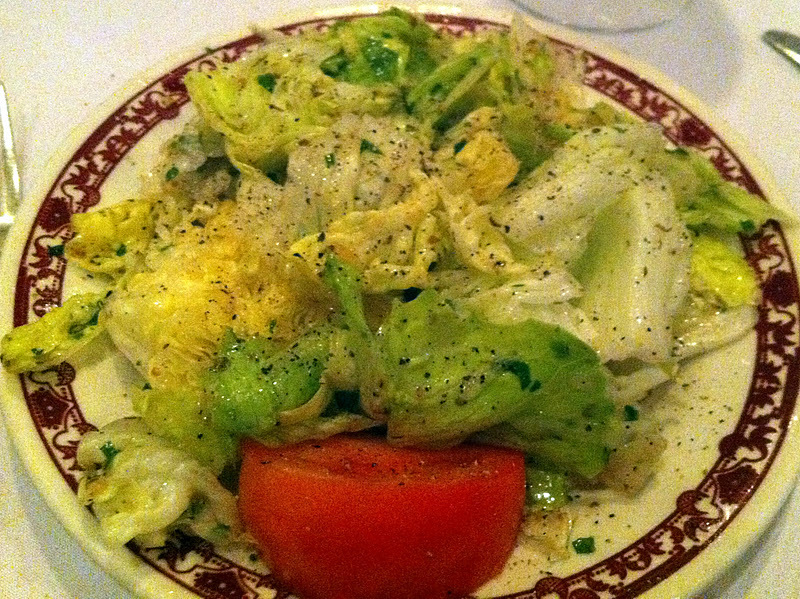 The sides were my favorite and I wish I would have traded in my enormous plate of pasta for another side or two. Even though I ordered angel hair with red sauce, by the time it arrived it looked boring so I asked for a side meatballs. Even the meatballs weren't my favorite so I think I'll stop trying to fit a round peg into a square hole. 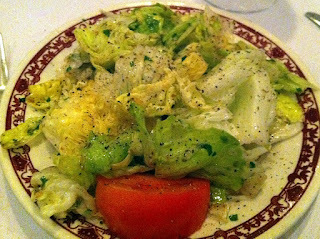 The salads for starters were good with a nice house dressing and I really like the potato cottage fries. When it's all said and done my first and second experiences didn't differ that much. There's probably a solid explanation why the average age inside is not my typical scene. They serve old school food with old school decor and great old school service. I wouldn't rush back as I think they're catering to a different crowd but I can understand the strong loyalty and longevity (70 years!) of a classic Chicago icon.